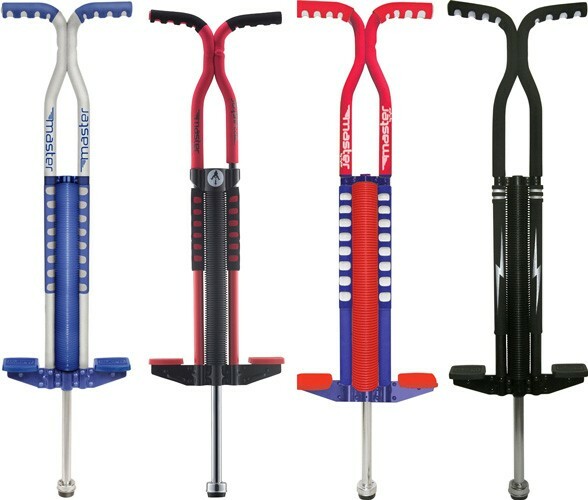 The Flybar Foam Master Pogo Stick is a modern design adaptation of the classic toy. It's sure to promote healthy and exciting fun for boys and girls of all ages. A great introduction to pogo stick jumping -- perfect for the beginner and for intermediate riders. 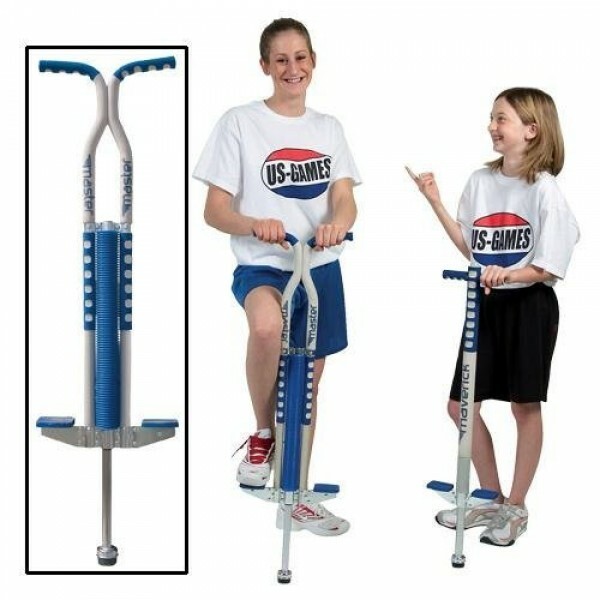 This pogo stick features a rugged metal frame covered in precision-made foam, replaceable non-slip foot pads, easy-grip handles, and a rubber tip to help you stay in control. As a safety precaution, it is recommended to always use a helmet. Designed for ages 9 and up. Supports users 80 to 160 lbs.